Catching up for the first half of September, catch up on the latest! This week I’ve been focused heavily on finishing up the level design for our next upcoming single player mission called “Vacancy”. I won’t go into much detail about it here, but scripting is underway so hopefully everyone will get to play it soon! In the meantime, here are a couple teaser shots to tide you over! Since the last development blog, I ended up redoing all the grips for Vive, Rift and WMR. I also, cleaned up the WMR controls to reflect basically the Vive’s. In the future, thumbstick support will be implemented for the WMR, but for now it’s the touchpad. I made a slight experimental change to melee weapons, when gripped, the hand will disappear. This was so that players wouldn’t notice the awkward grip angles of the in-game hands. I implemented a subtitle/tooltip feature, which is currently only available for the Tutorial (which is finished and polished up) and in the Beta. I added a feature request: if you’re under 25 HP the watch alarm goes off. It should give everyone a little bit of a chance to get the heck outta dodge, consume some pills and get back into the fight. I also set up all localizers with their accounts and should have nine languages supported for the subtitles/tooltips in the Tutorial. Later the campaign will get subtitle support. Lastly, I started work on Resource gathering in preparation for Crafting. Otherwise, I was bug fixing or polishing up things, in preparation for Update 3 release. It’s been a few weeks since the last update, so lots of things have been changed! The biggest is probably the completion of rescripting the finale of the outbreak mission. Many new little features have been added in addition to tons of general scripting and gameplay flow improvements. When the player meets the military roadblock, there are now branching paths and your actions (or inactions) will change the outcome. The Sniping sequence prior to reaching the street level has also been improved greatly; the player’s wife remains on the phone during the battle, and will start freaking out if the car takes too much damage. She also lets you know when the minigame has completed with a line of dialog, as well as actually exiting the vehicle and running down the road to safety. It should make much, much more sense now! I’ve also done a complete overhaul of our Bullet Impact audio. Previously we had very simple audio played when a bullet impacted a surface/material but it was lacking. I wanted to add the following effects Bullet Whiz (Head & Tail), Impact Layers, Ricochet, and Debri Layers. Using Wwise Blend Containers and Random Containers I got the variety and style I was looking for and am creating a variety of impacts for each surface material type. The past week I have been working on planning, scripting and implementing dialog, interactions, and Paul’s animations into the long-awaited second campaign mission which I am sure we are all excited to play! Without giving away too many spoilers, it is the first C:VR mission to feature a large open map, and as such will have new gameplay opportunities we couldn’t take advantage of in the previous missions. Also, I put into place a new zombie save system, and some other bug fixes for example it is now possible to kill the “door breaking zombie” mid-animation, and fixed footsteps for the player not playing. For the last 2 weeks and a half I’ve been working on the script for the upcoming campaign mission and hammering the animation framework as well as adding the final finishing touches to the first mission : Outbreak. I’m glad to say that as far as the animation goes first campaign segment is complete and I am able to focus solely on the new chapter: Vacancy. 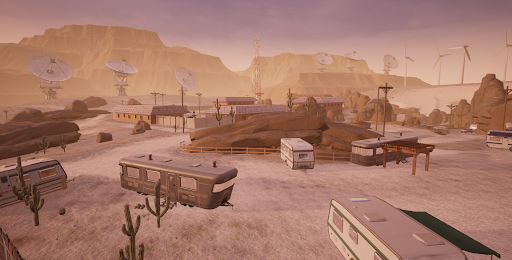 Together with Lawrence we built a solid foundation for the unique mechanics and new gameplay events that will take place in Mission 2. As such, we’re still not there to being done and will continue to work towards having it ready for playtesting by the end of the month.